GoPower (GPT) is monitored on the portal CoinGecko! 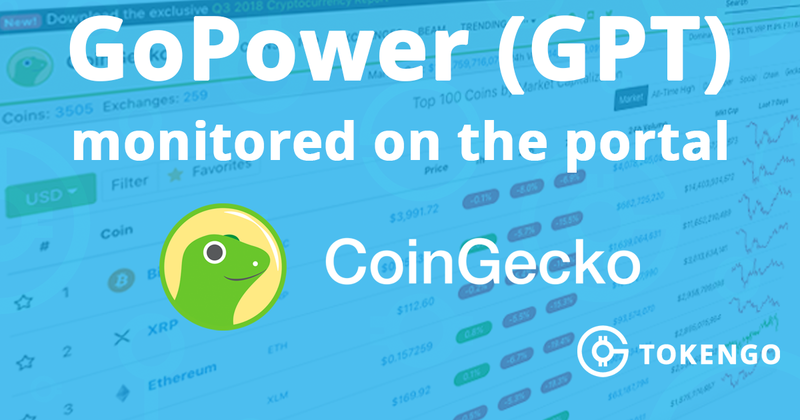 GoPower (GPT) began to be monitored at the largest cryptocurrency platform CoinGecko. What is your opinion on GoPower (GPT) is monitored on the portal CoinGecko! ?